15 firms sign up as partners with Plato Partnership as the group looks to future initiatives. A number of buy-side firms have joined Plato Partnership as partners to work on the group’s initiatives, the prospective dark pool operator has confirmed. BBVA Asset Management, Legal & General Investment Management, Standard Life Investments, T. Rowe Price, RBC Capital Markets and Rosenblatt Securities are among the 15 firms that have joined the initiative. 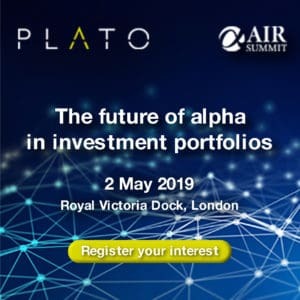 Plato Partnership said the participation of the partners will drive the future direction of the project to shape equity market structure in Europe, broaden market structure knowledge and build stronger industry relationships. Plato co-chair and global head of equity trading at Deutsche Asset Management, Mike Bellaro, explained the news is a ‘milestone’ for Plato. “We now have the representation and the financial resources to fund significant initiatives that will have a tangible impact on the marketplace. “One initiative being considered currently is IOIs, an increasingly important issue for market participants, and we expect to provide insight and output on this in the coming months,” he said. Steven Way, head of equity trading for Europe at Standard Life Investments and new Plato partner, added simplifying market structure and reducing trading costs requires input and insight from the broadest possible range of market participants. “The Plato Partnership structure not only ensures consideration of the broadest range of perspectives on industry critical issues, but provides a mechanism by which to effect meaningful progress and change,” he said. 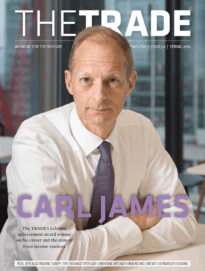 The TRADE caught up with the Plato Partnership co-chairs in November to discuss its plans to focus on new initiatives. Bellaro explained: “We are setting our sights on the future but we are not moving away from Turquoise Plato. For the full interview with Plato Partnership, please click here.